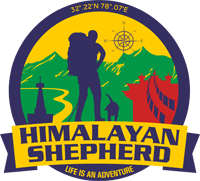 At Himalayan Shepherd we also organize tailor made tours. Our team takes care of your trip arrangements from hotel bookings to sightseeing, tour guides, transport, route planning, internal flights and other important details to make your trip enjoyable and stress free. Our guides are experienced in escorting many different tour groups through Spiti Valley and Ladakh and we can organise packages for couples as well for families travelling with children, educational groups, business outings etc. All our guided Spiti tours are completely customisable and we can modify itineraries according to your needs and interests.